The new HyperX System is Safariland’s culmination of ergonomics, mobility and ballistic protection. 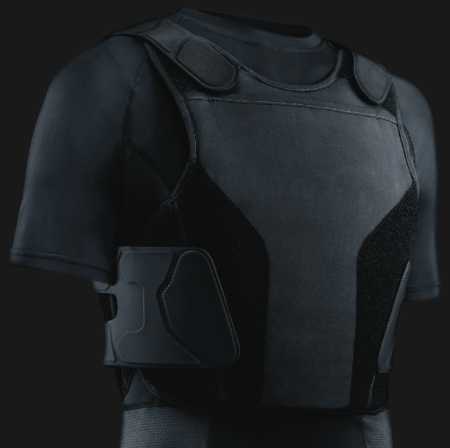 The HyperX™ System aims to be the trend setter in the new way body armor will be worn. Where traditional manufacturing has focused on just the ballistic armor and its carrier, the HyperX System takes that focus to the extreme and also includes the under shirt as well. So often the comfort an officer feels wearing body armor is as much related to the shirt they wear under the armor, as it is to the ballistic armor carrier itself. The Safariland HyperX System is designed for maximum comfort and protection. The Safariland HyperX System is very lightweight for exceptional mobility. The weight and thickness of ballistic armor cannot be understated, as it directly relates to officer performance during the most critical moments on the street. The HyperX System technical fabrics provide sleek, body contouring, and athletic styling in the integrated system. In short, the HyperX undershirt fits close to the body, but wicks moisture and heat away from the body. 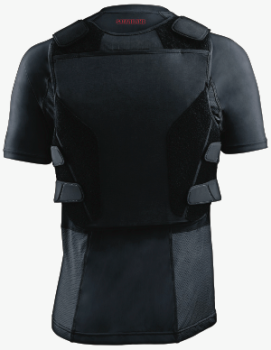 The HyperX System consists of a T-Shirt Base Layer and an Integrated Ballistic Panel carrier. The T-Shirt Base Layer is made of lightweight compression, four-way stretch fabric designed to move and flex with the body’s movements. The base layer T-shirt is an integral part of the HyperX System. The HyperX System, has an interchangeable liner system to keep the body warm or cool in extreme conditions, and is designed to provide unparalleled ballistic coverage and protection with customizable plate pockets for hard or soft armor trauma plate protection. 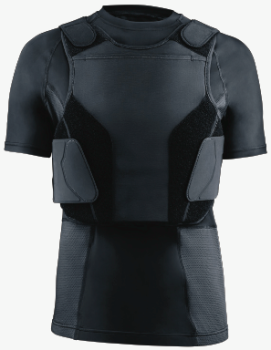 The HyperX™ System truly exemplifies the future of body armor. The Safariland HyperX System is topped with superior ballistic armor. 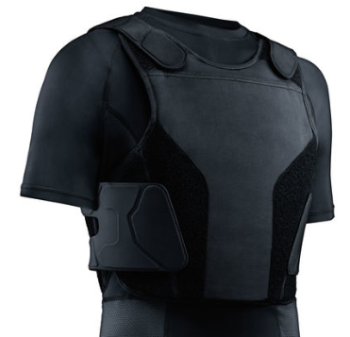 Safariland took a serious look at the total package of ballistic armor, and focused on an end product that recognized the specific needs and restrictions that modern law enforcement officers face on a daily basis. The HyperX System is the culmination of ergonomics and ballistic protection, combining both undershirt requirements with ballistic carrier needs. This scalable system is customizable with plate pockets both in the base layer for enhanced coverage, and in the integrated ballistic panel for hard or soft armor trauma plate protection. The HyperX System carrier has greatly improved straps, fit, and durability. We were only able to get a quick peek at the new HyperX System at SHOT Show, but our initial impressions have been very good. This system is well designed and thought out, and it shows a tremendous amount of potential. Sometimes the most innovative combinations are the ones that are right before our eyes. Ever since ballistic armor became a standard piece of a police officer’s duty gear, the need for a comfortable undershirt has been present. Decades ago, the best an officer could do was wear a lightweight T-shirt – the kind designed as an undershirt to dress shirts, and not those with logos designed to be a stand-alone shirt. Some officers opted out of any undershirt to avoid the bunching and excess heat they caused. 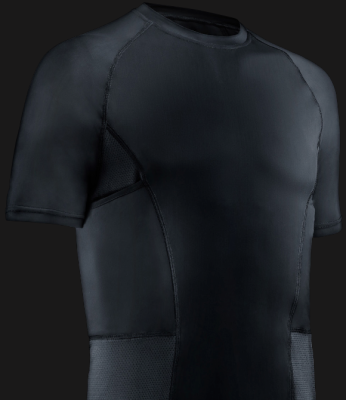 About 10 years ago a little company called Under Armor came around and changed the face of athletic gear with their performance shirts designed to wick away moisture and excess heat, while still providing the user a base layer of insulation. Safariland has capitalized on what should have been obvious from the beginning – the armor needs to be a part of an integrated system. The T-shirt is an incredibly important component of the overall wearability of the entire system. yet Safariland didn’t just create the next, best undershirt. They created an outstanding undershirt combined with the latest technology and materials in ballistic armor and carriers. For that we are grateful! Why hide your product with a black background? It’s called C-O-N-T-R-A-S-T. and is not so dishonest. Show your product!